1. 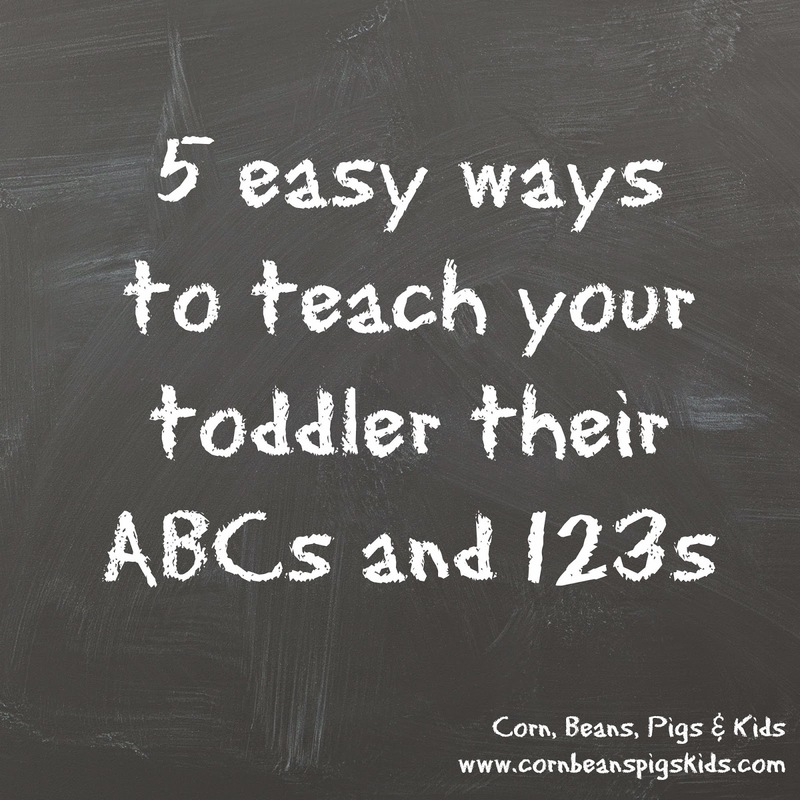 5 Easy Ways To Teach Your Toddler Their ABCs and 123s - The response I have received from this post has been unbelievable. I've had a lot of people find this post through Pinterest. I love having "learning time" at home with my kids and I hope other parents have enjoyed these simple ideas on how to teach their kids the alphabet and numbers. 2. Spreading the Love of Reading - This post is about my participation in World Book Night. This was a great program that I have been apart of the last three years, that through thousands of volunteers, passed out over a million and half books throughout the United States. Sadly, given financial and time commitment from publishers, writers, givers, booksellers, printers, distributors, shippers, etc. the program will no longer be operational in 2015. It is disappointing to see such a unique program go away that emphasized spreading the love of reading to non-readers. 3. 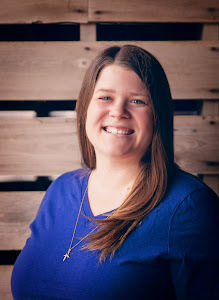 June Comments for a Cause - La Luz Hispana - This year I started a Comments for a Cause program on my blog and I'm happy to say that one of my posts talking about Comments for a Cause made the Top 10. I loved how my local community rallied around supporting my Comments for a Cause effort for La Luz Hispana. June was my biggest month for comments this year. 4. 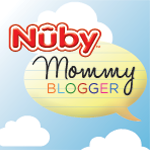 Mommy Monday - Nuby Mommy Review: Oral Care Set - It is fun to see some of my review posts in my top read blog posts of the year. 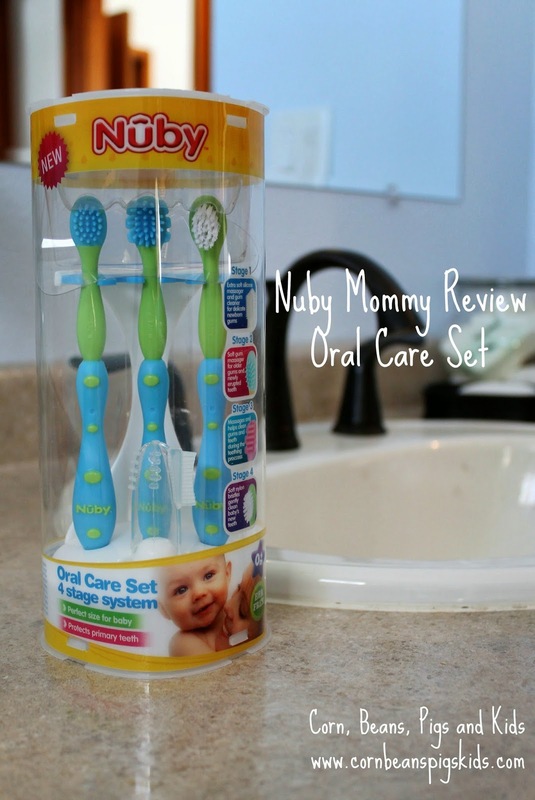 This Oral Care Set from Nuby is actually one of my favorite products I have received from them. 5. Curious George Birthday Party - I love entertaining and I love to do things for my family, so when my kids have a birthday, let's just say I like to have fun! 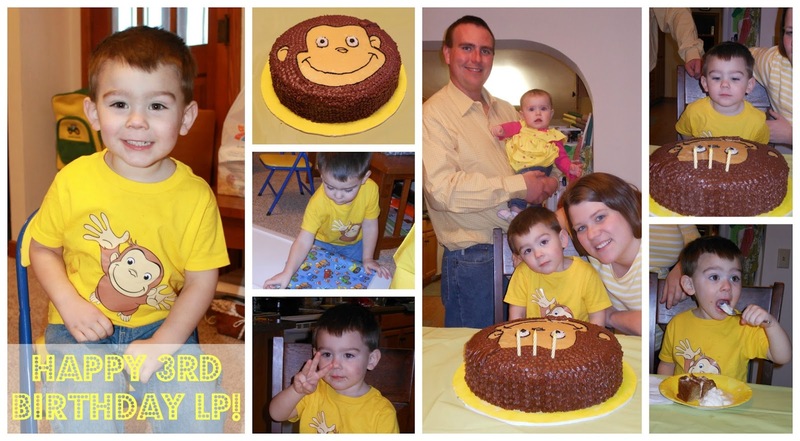 This year LP chose Curious George as his birthday theme. The birthday party was simple and fun and I'm still proud of my Curious George cake I made! 6. Wordless Wednesday - Signs that Spring FINALLY arrived! - I think it is nice that my readers like the simplicity of a Wordless Wednesday post to make the Top 10 this year. This post just reminds me how late and long this year's planting season was. 7. 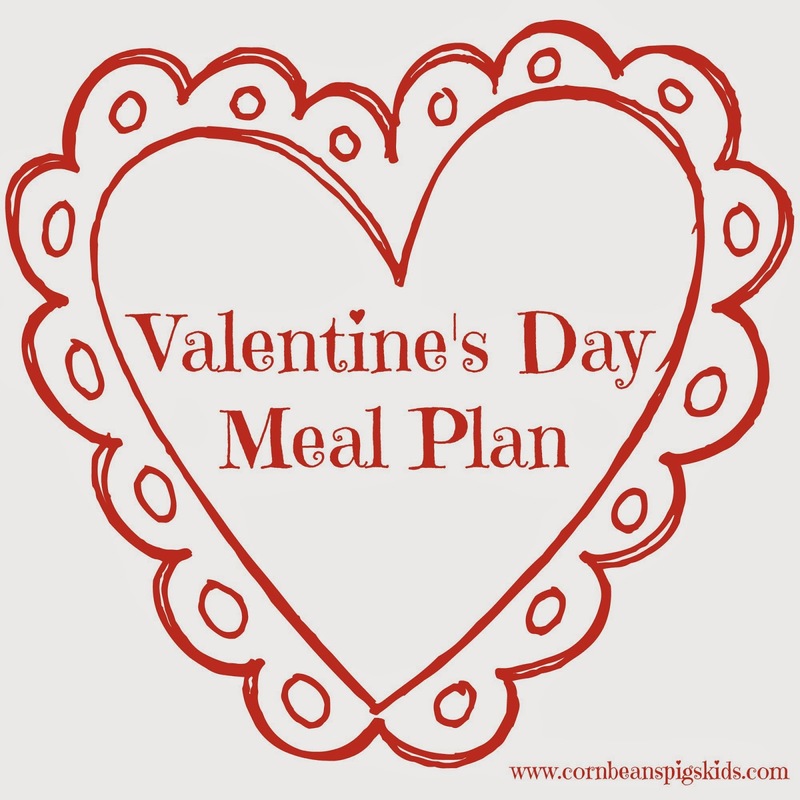 Valentine's Day Meal Plan - Fried Pickles, Greek Steak & Greek Spaghetti, and Chocolate Melting Cake - mmm! I could go for all of them tonight actually... I love all the memories and feelings associated with these dishes and am happy to share the recipes for them through this blog post! 8. Little Free Library Coming to Latimer - One of my favorite projects that I worked on this year was bringing a Little Free Library to my local community. I love how the entire community rallied around the effort and really has made our Little Free Library space an inviting and welcoming area in downtown. Thanks to Post Cereal for providing this opportunity to me and my local community. 9. 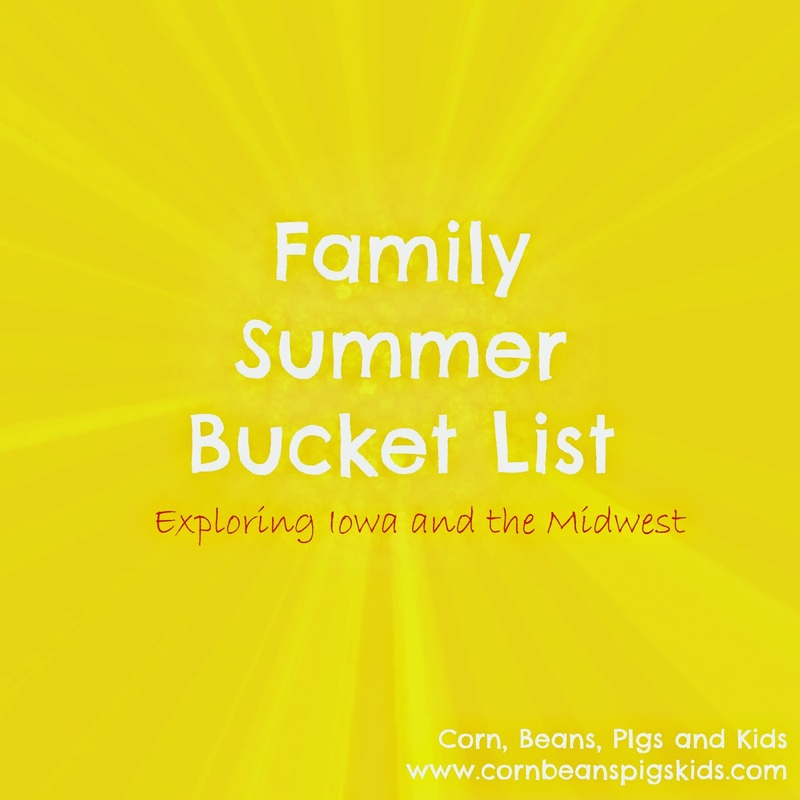 Family Summer Bucket List - I have enjoyed putting together bucket lists for my family over the last couple of years and sharing them on my blog. I think my favorite thing we did this year was go on an Iowa Ice Cream Trip throughout the month of June in honor of National Dairy Month! 10. Something Sweet in Honor of Six Sweet Years of Marriage - In January of 2014 My Farmer and I celebrated our sixth wedding anniversary, as well as being together for ten years! In honor of our anniversary I shared my recipe for Chocolate Melting Cake - a cake we fell in love with on our honeymoon and make every year to celebrate our anniversary. 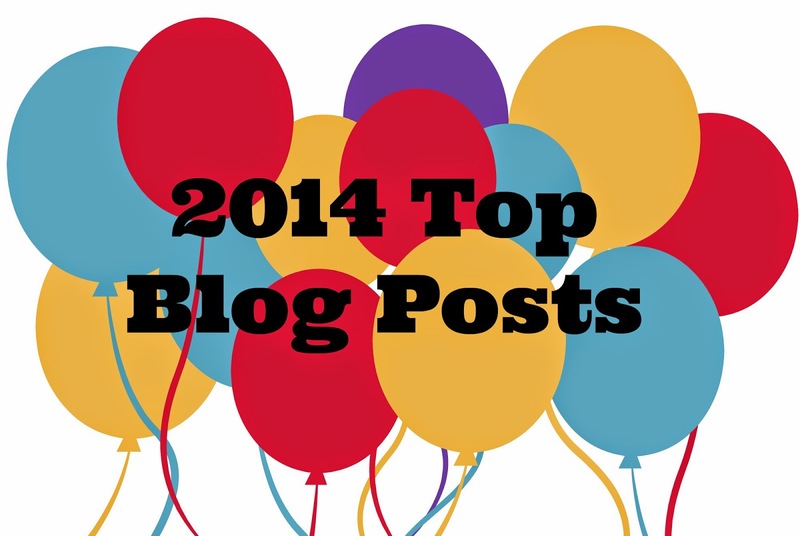 What a great mix of posts from 2014 to make my Top 10 most read posts! Thank you all for reading along throughout the year. What was your favorite post from this year? Is there a post from this year's Top 10 that you missed that you're going to be sure to check out now? What types of posts would you like to see more of in 2015? Remember to Comment for a Cause! This morning I am getting ready for hopefully my last doctor's appointment for our third child JP. 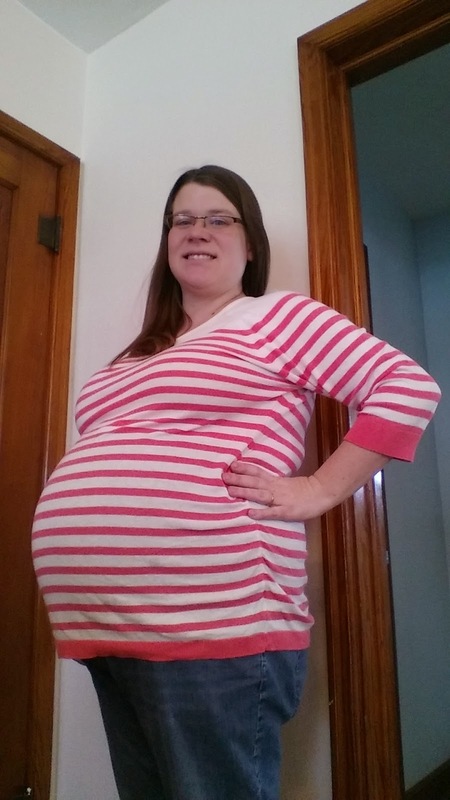 I'm 39.5 weeks pregnant, which is the longest I've ever gone in a pregnancy. 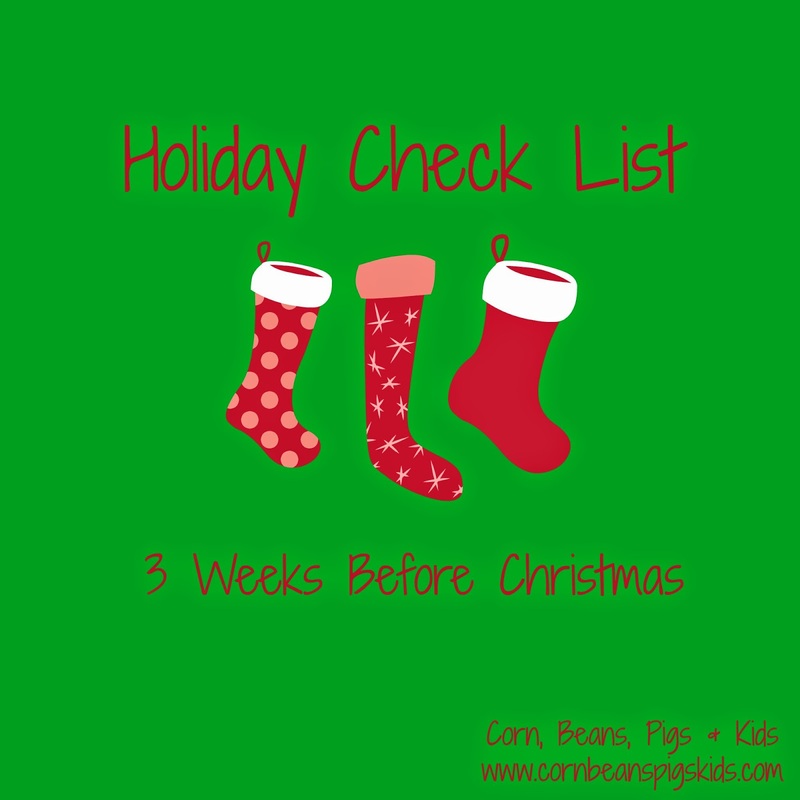 So much for us thinking the baby would come around Christmas... Now we're wondering if they'll arrive before the New Year! No matter when JP decides to grace us with his or her presence, one thing for sure is that my days of being pregnant are getting numbered. Having an excuse to take a nap during "afternoon quiet time". Being able to pull the pregnancy card during fall harvest and being able to stay in the warm tractor when something needs to be fixed, rather than being outside helping get tools. Having people ask me "how are you feeling" or tell me "you look great". Not having to worry about sucking it in for photos. Just let whatever baby bump you have be seen! Coming home from doctor appointments and being able to share the latest "Dr. Tanism" from my appointment. Dr. Thoo Tan, DO, MD is the funniest OB-GYN in North Iowa and always will make you smile. Plus I appreciate he's a realist and a minimalist. Feeling little flutters and kicks. I love how you feel so connected to your baby after you can feel them growing inside of you. For the Moms out there, what was your favorite thing about being pregnant? And for everyone, when do you think JP will arrive? Do you think we're going to have a boy or a girl? Remember to Comment for a Cause! Today marked the first day that we didn't have any Christmas celebrations or family members at our house for four days. So I spent the day catching up on laundry, making Christmas thank yous and trying to get back into our normal routine. Part of my Sunday routine is making my meal plan for the week. After hosting two family Christmases and having family at our house for three days, needless to say, we have a full fridge of odds and ends of leftovers. So now the big question is, what to do with all of your leftovers so you don't hear "not this again..." or have to throw any food away. 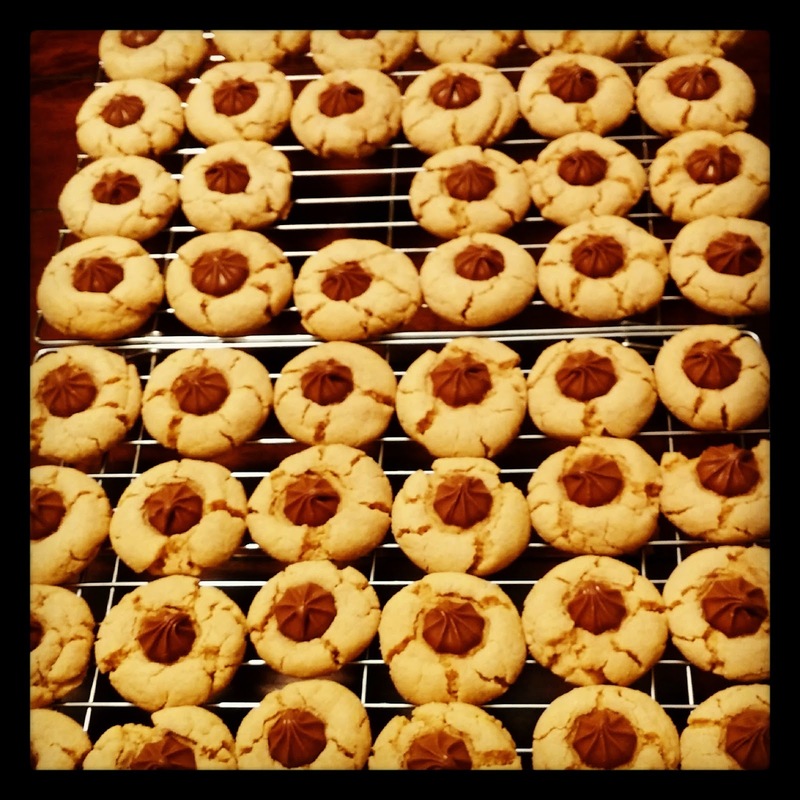 Here are three simple ideas, plus a recipe that I made tonight! Freeze - This should be a no-brainer but I think it is something people forget about. If you have a lot of something leftover - freeze it! I personally froze a half crock-pot's worth of chili and enough pork loin for probably a dozen sandwiches after all of our company left. This will come in handy after baby #3 JP arrives this winter! Add-ins - Leftover vegetables and meat make for easy and quick additions to eggs for breakfast or inside quesadillas or paninis for dinner. Today at noon I used leftover cheese from a cheese platter and leftover cubed ham from an appetizer to make some delicious panini melts. They were perfect and something light to have after eating big meals for the last few days. Repurpose - Lastly, repurpose your leftovers into something new. There are lots of ideas for repurposing your holiday ham or turkey into casseroles or soups, but don't forget those side dishes. 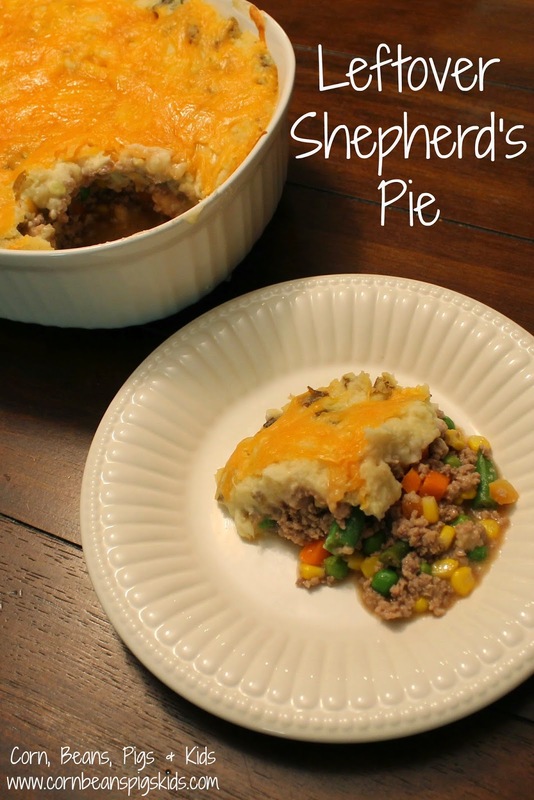 Tonight I used our leftover mashed potatoes to make a delicious and simple Shepherd's Pie. I hope you enjoy it just as much as my family did! Brown meat in skillet. Stir in flour and cook for one minute. Stir in ketchup, followed by beef broth and then vegetables. Feel free to add a little salt and pepper to taste. Spoon into casserole dish or 9x9 square baking dish. Cover with mashed potatoes. And if you have cheese loving kids like I do, sprinkle cheddar cheese over the top. 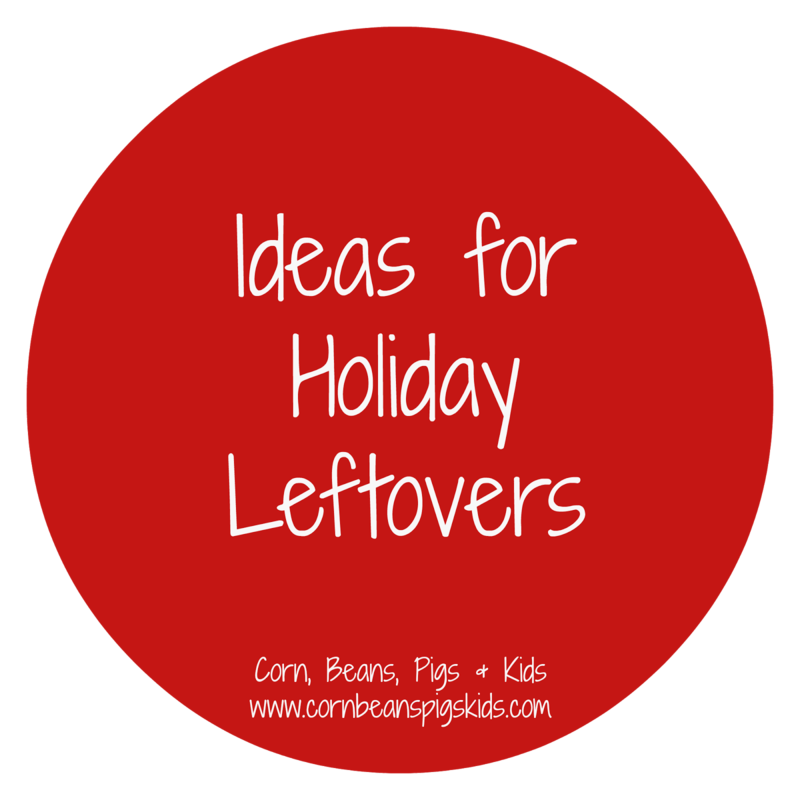 What is your favorite thing to do with leftovers? Remember to Comment for a Cause! 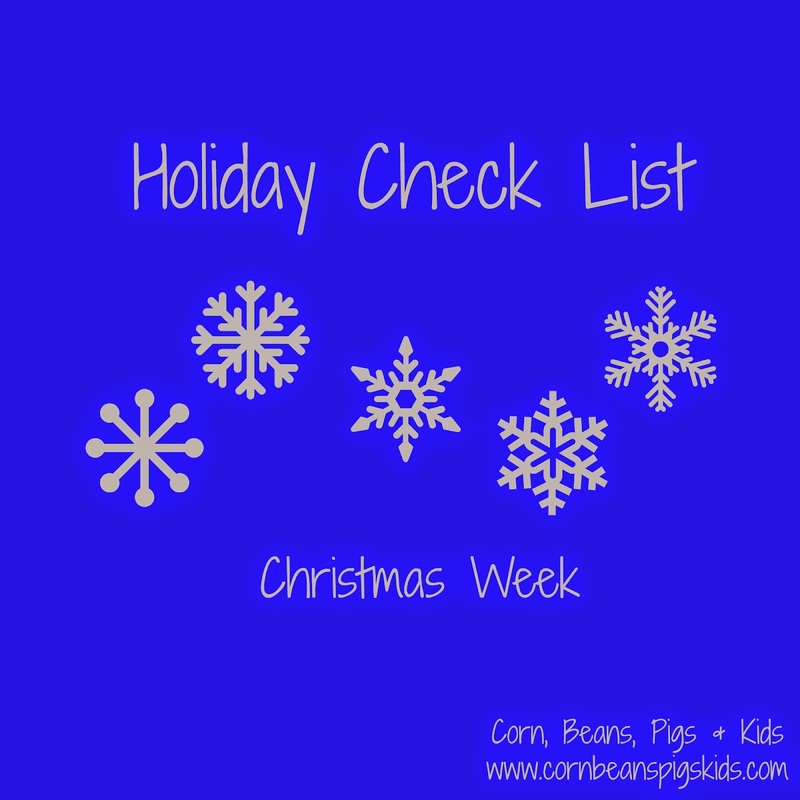 Holiday Check List - Christmas Week! 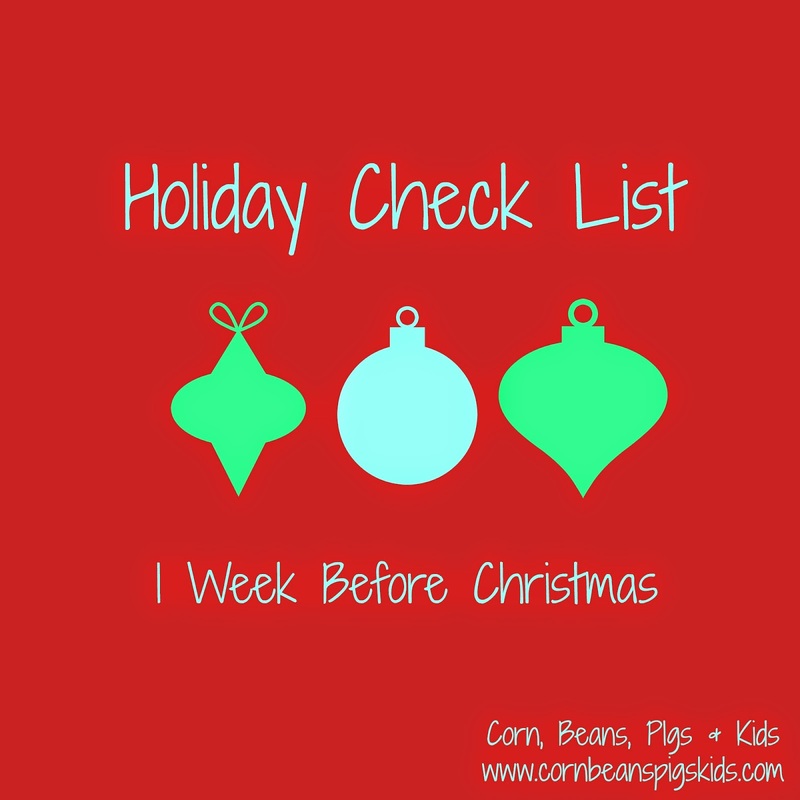 Hopefully you all have a blessed and stress-free Christmas week! What are you looking forward to the most this week? Remember to Comment for a Cause! I asked my Facebook fans and Instagram followers how'd they caption this photo from earlier today. How would you caption it? Remember to Comment for a Cause! 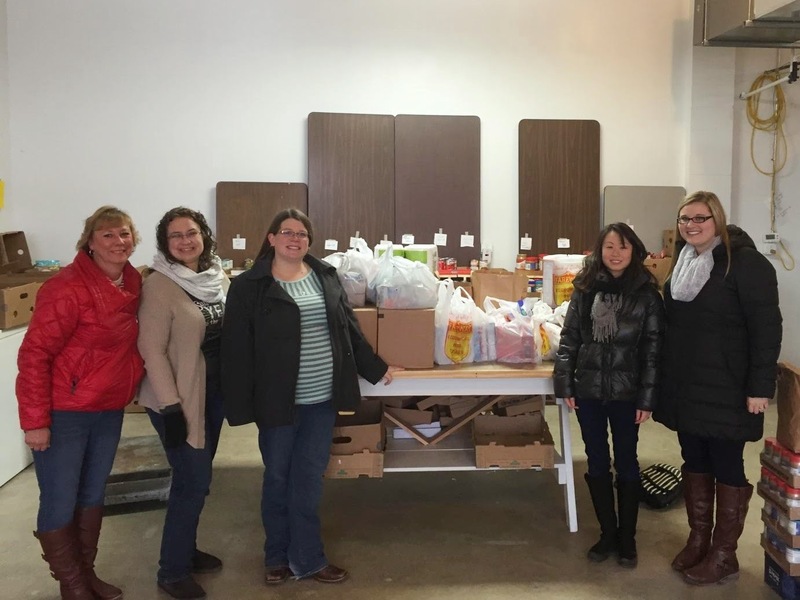 In November, the North Iowa Bloggers teamed together to gather donations and food to help two local food banks, the Franklin County Food Pantry in Hampton and the Hawkeye Harvest Food Bank in Mason City. And luckily for me I was able to join a few other North Iowa Bloggers a week and a half ago to drop off those donations. 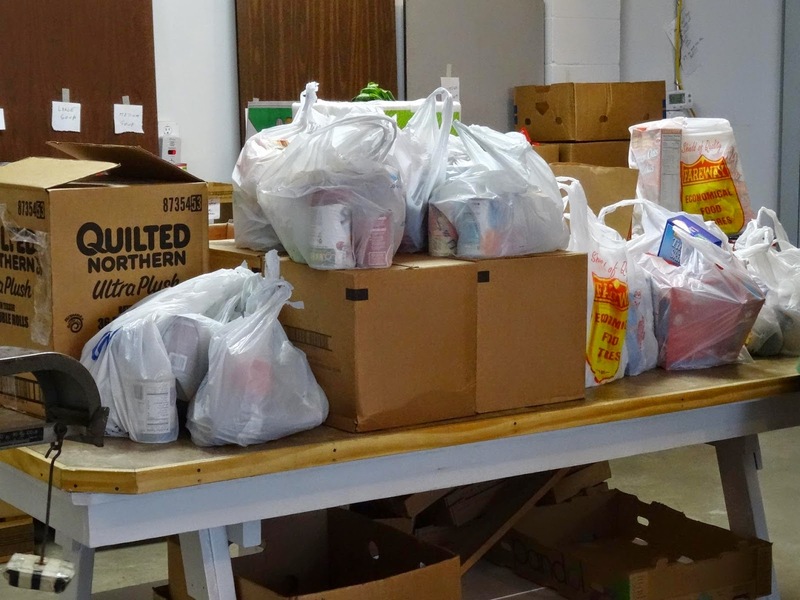 Thanks to your comments on my blog and several others, as well as actual food donations, we were able to donate 235 pounds of food off at the Hawkeye Harvest Food Bank in Mason City! After we got everything finalized with our donation, Ozzie Ohl, volunteer at the Hawkeye Harvest Food Bank, gave us a tour of the new facility and demonstrated how it operated. The Hawkeye Harvest Food Bank is volunteer ran and currently has around 125 volunteers, making it the largest volunteer ran food bank served by the Food Bank of Iowa. Ozzie's focus at the Hawkeye Harvest Food Bank is to help tell the facility's story to the general public and to help with special events and campaigns in the community. In the three short years since he started being a volunteer he has worked in the order filling room, gone on food pickups and assisted people at the counter. The Hawkeye Harvest Food Bank is an emergency food bank, so families can visit the facility once a month, where they will receive the equivalent of a four day ration. In the picture above you can see Ozzie talking about some of the different food areas. Above each section is a chart that tells how many items a family with different amount of members can receive. For example, in the non-edible section that Ozzie is currently pointing to a family of one receives three non-edible items, family of two receives four, family of three receives five items, etc. Hawkeye Harvest Food Bank collects food through donations and purchases food and non-essentials through monetary donations. Currently over 80% of the Hawkeye Harvest Food Bank goes toward food acquisition, while the rest goes towards building costs. The majority of the food they purchase from the Food Bank of Iowa since they are able to buy it for 14 cents a pound. They also buy food and non-perishable items from local grocery stores. Hy-Vee East donates their day old bread and baked good to the food bank, and they partner with Community Kitchen bi-weekly receiving collections from Target and Wal-Mart through their partnership with Feeding America. In the end, Ozzie told us that the food bank simply couldn't exist without the generosity of North Iowans. In 2013, Hawkeye Harvest Food Bank served 17,580 people. At the end of November this year, the total was 19,533 and officials expect to serve at least 1,500 in December, creating a record year in the number of people served. 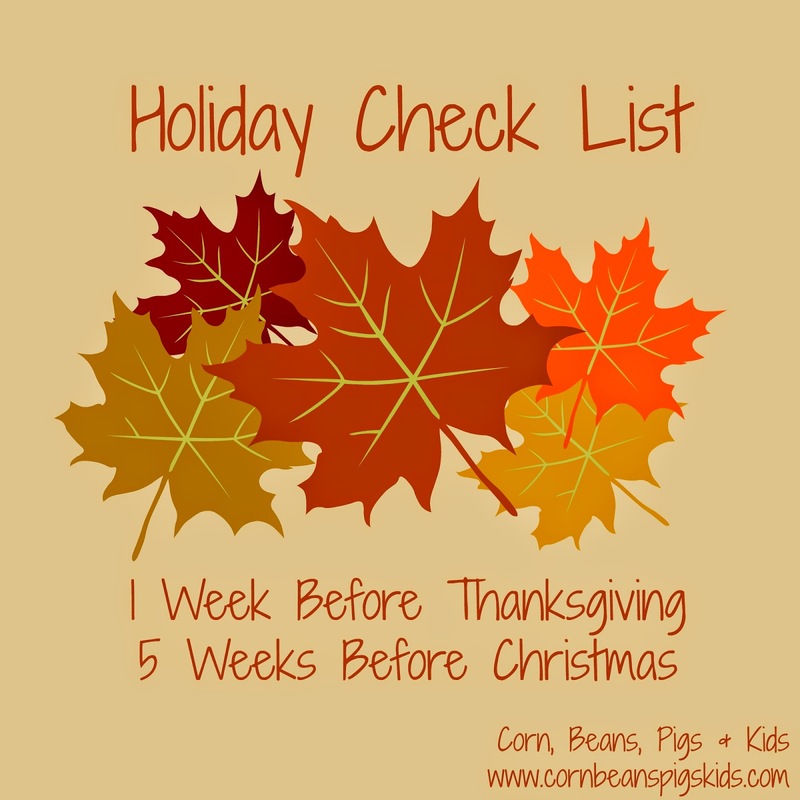 If you'd like some ideas on how to help your local food bank this holiday season, check out my Food Bank Guide. 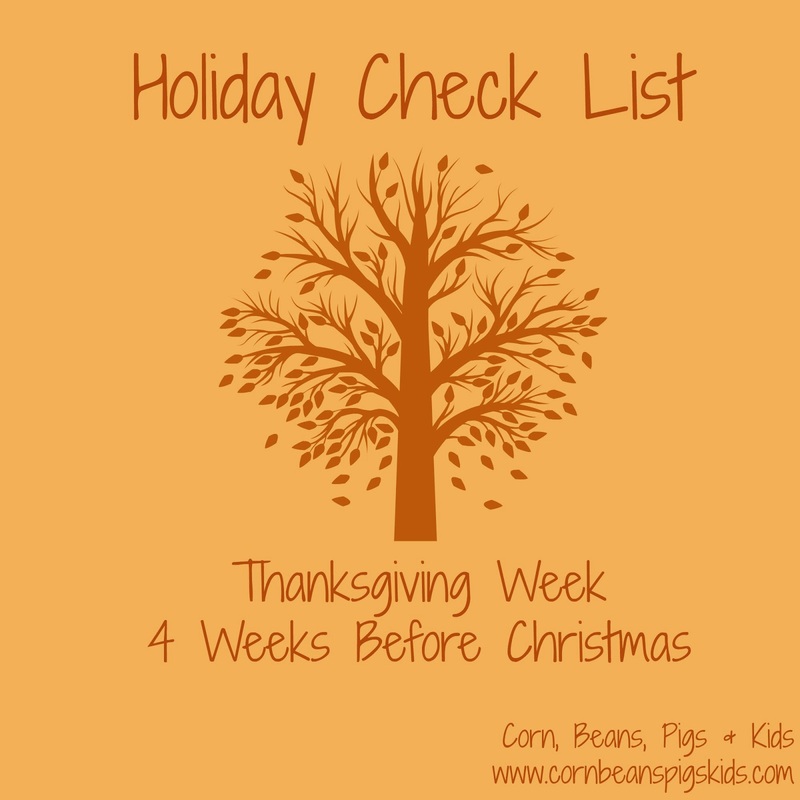 How do you help your local food bank during the holidays? Remember to Comment for a Cause! 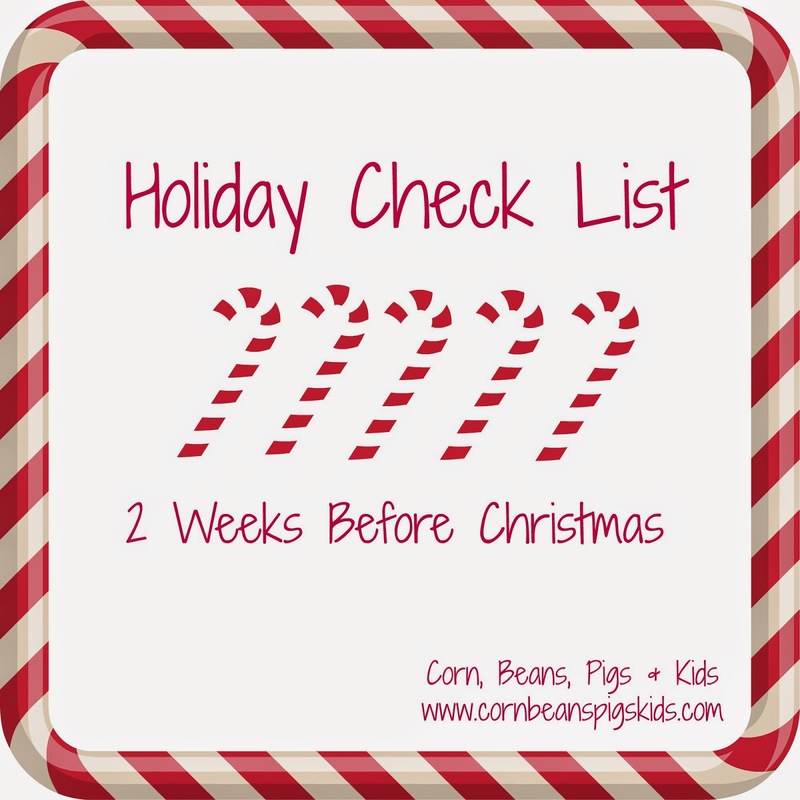 What is on your holiday check list this week? Remember to Comment for a Cause! 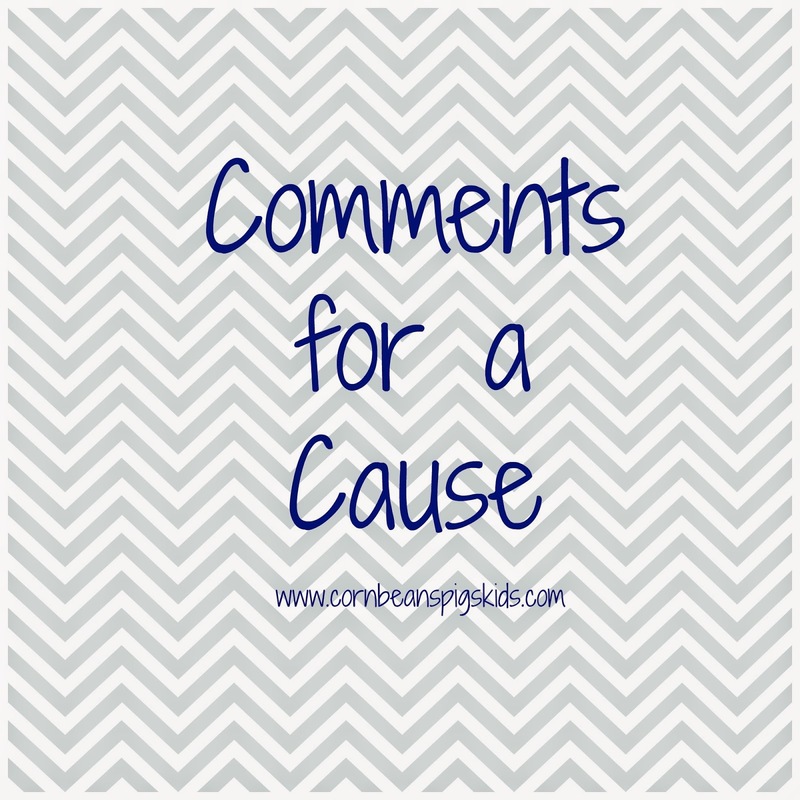 It is December 1st which means it is time to talk about Comments for a Cause! First thing to cover is my donation to the #NorthIowaBloggers Food Drive for the month of November. Thank you for the 26 comments posted during the month, which results in a $13 donation. I had a lot of fun with the #CanHunger Challenge earlier this month and look forward to delivering our food and monetary donations this Friday with my fellow #NorthIowaBloggers. Thank you to everyone that is helping hungry families this holiday season. In the month of December I am excited to be helping families with children with life threatening illness through the Dance Marathon fundraiser at Iowa State. One of my readers, Courtney, reached out to me about this cause and I'm happy to help by donating $0.50 for every comment during the month towards Dance Marathon. This month’s Comments for a Cause truly shows the power of networking through 4-H. I first met Val when she was the President of my 4-H Club when I joined 4-H in fourth grade. Since then, I have continued to follow her blog on Facebook and Pinterest. That is when I first found out about her Comments for a Cause she does on her blog. I approached Val about doing Comments for a Cause for Dance Marathon, an organization near and dear to my heart since I started school at Iowa State, and she graciously agreed. Dance Marathon is neither a dance nor a marathon; it is a celebration of life. (It’s also a fundraiser.) Dance Marathon is the largest student-run philanthropy on Iowa State’s campus, helping children with life threatening illnesses for 18 years, giving financial and emotional support to hundreds of families across Iowa. All money raised through the event is given directly to the University of Iowa Children’s Hospital through the Children’s Miracle Network. This year’s Dance Marathon at Iowa State is January 23rd and 24th. I first got involved with Dance Marathon my freshman year in college, participating as a dancer. I fell in love with the organization and have been a member of the Families Committee for the last three years. As a member of the Families Committee, I get assigned a family and serve as their contact. I have been partnered with the Graber family since they first joined Dance Marathon three years ago. 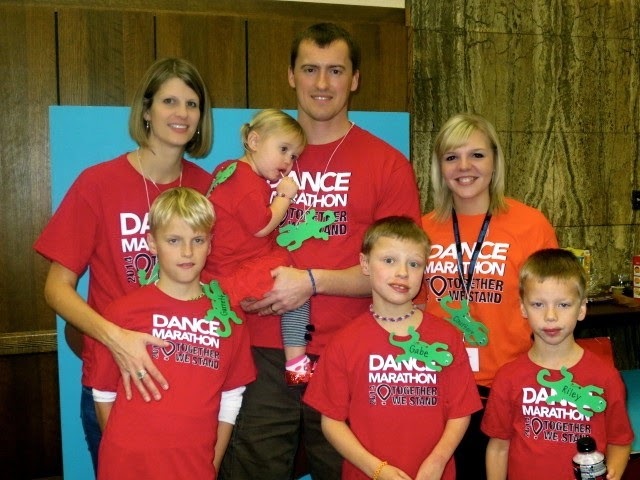 This is a picture of me with the Graber family at last year’s Dance Marathon. The Grabers are a member of Dance Marathon because they have a Miracle Kiddo named Gabe. To be “eligible” for Dance Marathon, a family has to have received care from a Children’s Miracle Network Hospital. 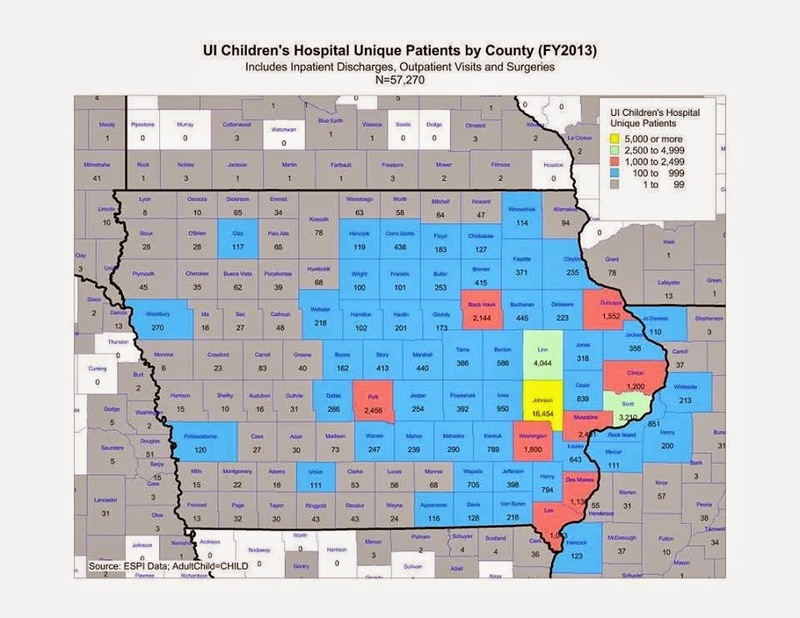 In Iowa, that is the University of Iowa Children’s Hospital. 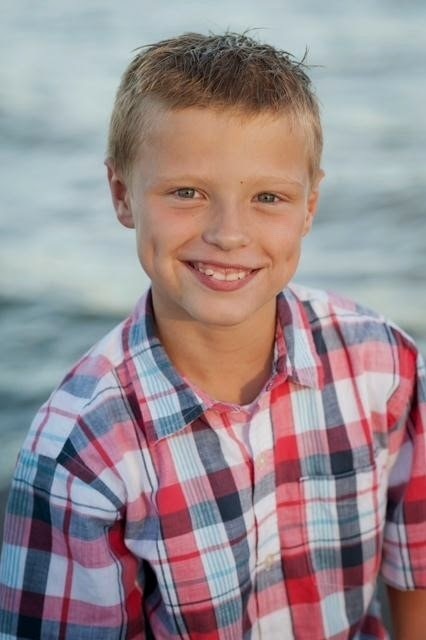 Gabe is an energetic 4th grade boy who loves to read books, tell jokes, and cheer on the Cyclones. Before he was born, he was diagnosed with Hypoplastic Right Heart Syndrome. Gabe’s right ventricle never fully developed, so he only has 1 pumping chamber in his heart. This defect is corrected with a series of 3 open heart surgeries—one at birth, one at 6 months old & one between 2-5 years old. Gabe had surgery at 6 months old and 2 ½ years old. He recovered well except for a stroke paralyzing his left side. He has fully recovered from the stroke but has weekly physical and occupational therapy due to significant delay in his fine motor skills with his left hand and foot. He sees a cardiologist once a year. Above is a map that shows the patients Dance Marathon programs across Iowa support. 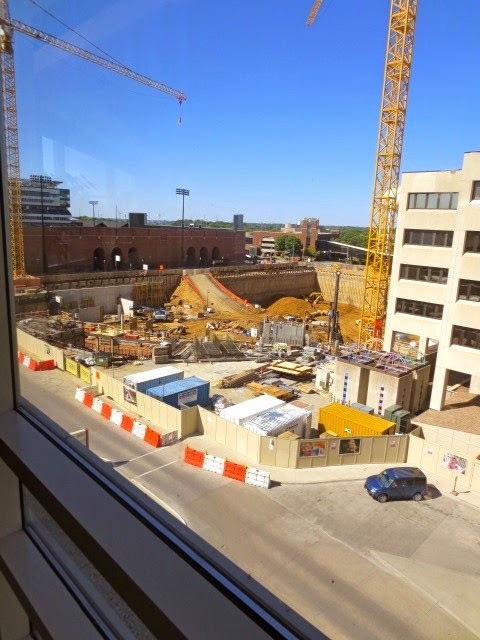 Thanks to the generous support so far, Iowa State Dance Marathon has made a 1 MILLION DOLLAR pledge toward the brand new, state-of-the-art Children’s Hospital opening in 2016 in Iowa City. This picture below shows the hospital when I visited one year ago. Click here to see the progress that has been made! At ISU, our big event happens in January. At this event, our participants (dancers) stay on their feet for FIFTEEN hours to symbolize our support for the families who spend countless hours in hospital waiting rooms. But it’s not a punishment for us; it’s a party. We listen to music, play games, hang out with the kids we help, and even do a bit of dancing. Watch last year’s Thank You Video to get a better visual for what the big event is like! Dance Marathon is for the kids, and at Iowa State, that’s always our focus. We build up to our big day all year long by raising money for the kiddos at the University of Iowa Children’s Hospital. After a dancer raises $250, they get to come to the party in January. In 2014, we raised over $427,000.00 together, for the kids. 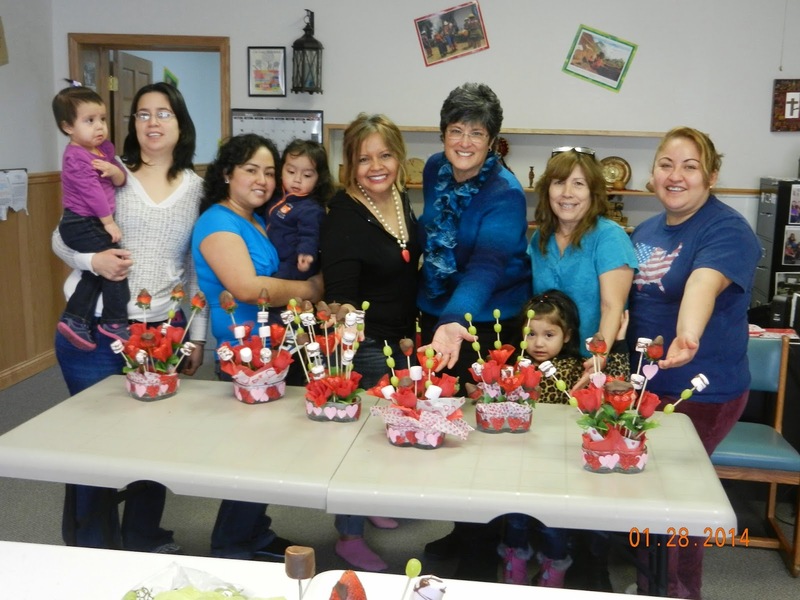 As a member of the Families Committee, we host families at various events throughout the year. 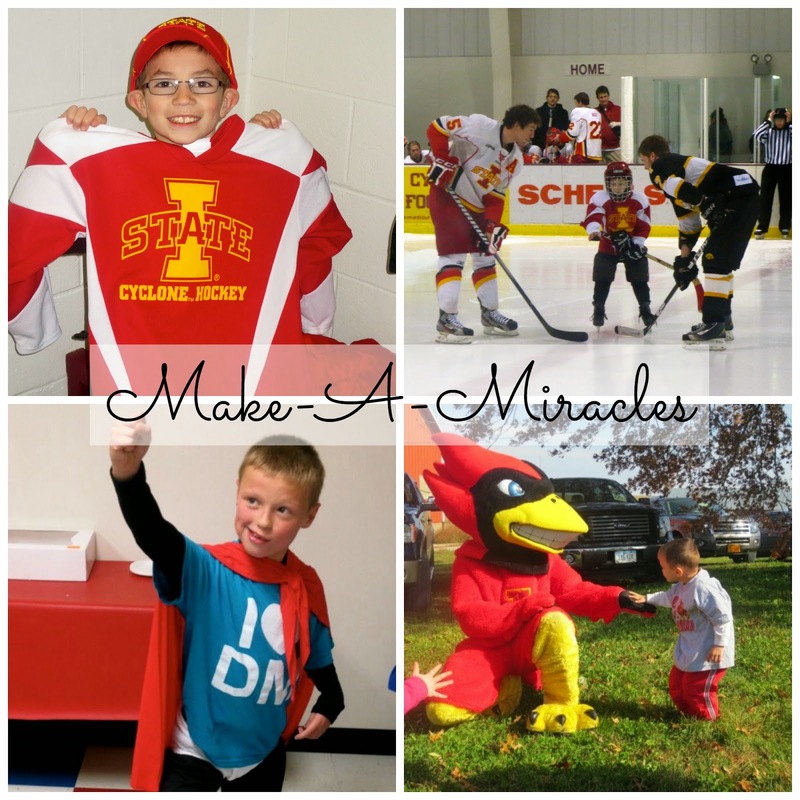 Some examples of events include a “Teal Gate” before an Iowa State football game as well as attending the football game, a Families Appreciation Dinner, the VEISHEA parade, and Make-A-Miracles. Matthew was the puck and stick boy at an Iowa State Hockey Game. Gabe had a Captain Underpants party and Dav Pilkey sent him autographed copies of his Captain Underpants series! Cy surprised Will for his 4th birthday party! If you would like to make a personal donation, feel free to donate here to help make miracles happen. For more information about Iowa State’s Dance Marathon, check out their website. Have you ever participated in Dance Marathon or have a Dance Marathon story you'd like to share? Remember to Comment for a Cause!